Fall is the busiest season for Athletics at St Margaret’s School with a mixture of participation and team based sports. Beginning in September, we have three cross-country teams spanning from Grade 3-12 (FY, MY, SY), MY Soccer (Grades 6-8,) SY Rowing (Grades 8-12), Sr Swim Team (Grades 8-12), and Sr Volleyball (Grade 10-12) . Overall our participation numbers were up across the board with the Sr Cross-Country and Sr Swim team doubling their participation numbers from last year’s season. 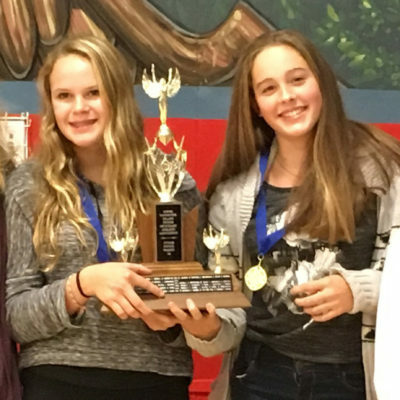 The Sr Cross-Country team had a variety of experience and interests, with nearly half the team participating at Island Championships and many girls involved for the purpose of health and wellness. The Swim team had a similar make-up as the cross-country. For many students, this team provided their first dip into swimming competitively. The team saw success in the pool with the Open Relay team earning a spot at Provincials. 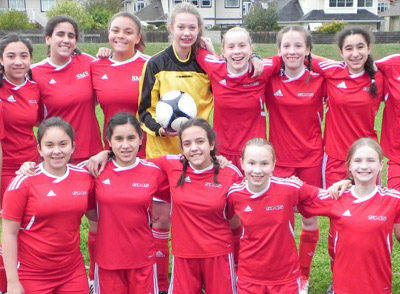 The Middle Years soccer team made great strides in their team play over their short season. With only two Jamborees resulting in a total of six games, the Middle Years team finished the season scoring goals and with two wins and a tie. What their record doesn’t reflect is the team bonding, cross-cultural and cross-grade connections that occurred in a group of students that has almost doubled in enrolment from last year. This team felt deeply supported by family, staff and friends as they experienced many friendly faces on the sideline at their last jamboree. Our SY Rowing team, largely comprised of novice Grade 8 and 9 rowers, made moving backwards look easy! 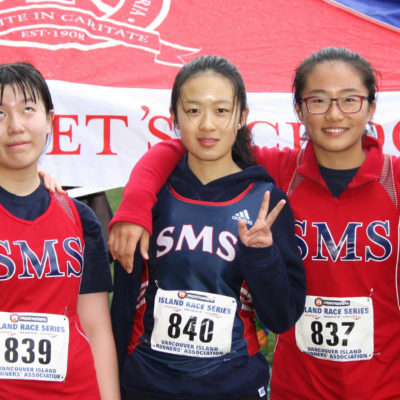 With 14 participants, St Margaret’s rowing team was the largest in recent history, allowing for depth of development and an opportunity to race in an 8 at the 2nd Annual Regatta and City Championships. At City Championships, the Grade 8 Novice Quads placed 2nd and 3rd respectively, while our Jr Novice Quad triumphed as City Champions. We look forward to seeing the development of this keen group of rowers as they move through our Senior school. The Sr Volleyball team also boasted large participation numbers carrying a team of 12 with an additional three development players. They saw success on the court in league play, winning multiple sets and making a push through on-going Lower Island playoffs.